China’s food safety system is decades behind ours – and ours is far from perfect. That’s why I started a Change.org petition, along with fellow food health and safety activists Bettina Siegel and Barbara Kowalcyk, titled “Congress, keep Chinese chicken out of our schools and supermarkets!” The petition has reached over 155,000 signatures in just over a week. It seems that barely a month goes by without some horrifying report of food adulteration in China, such as deadly melamine in milk powder which sickened over 300,000 children, high-levels of mercury in baby formula, Kentucky Fried Chicken restaurants in China learning that their Chinese poultry supplier had fattened their chickens with large quantities of toxic chemicals, rat meat sold as lamb, and chemically-enhanced 46 year old chicken feet being sold to unsuspecting consumers. This systemic failure of food safety oversight in China appears not to have fazed USDA decision-makers – they gave the green light to four Chinese plants to process slaughtered chickens from the U.S., Canada and Chile, and import the fowl back into this country. U.S. food inspectors will not be monitoring the plants – except for one yearly visit, which the plant operators will reportedly know of ahead of time! 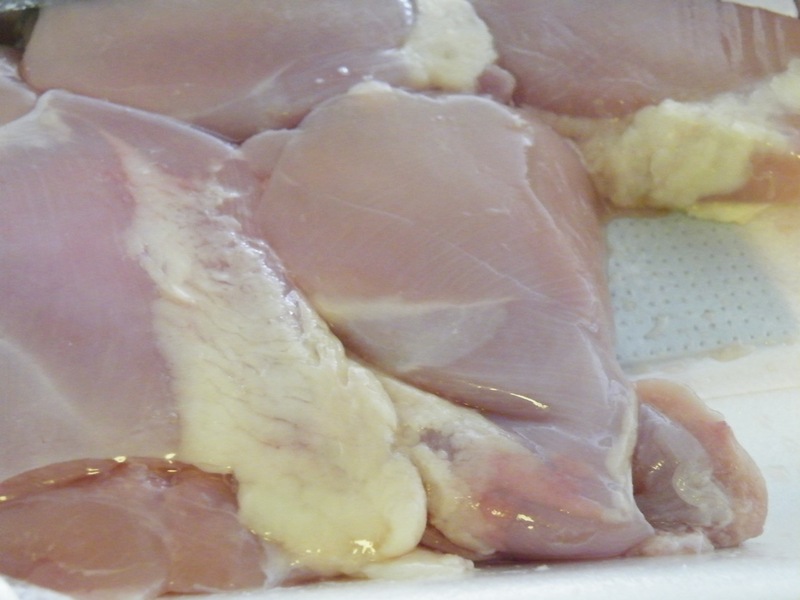 Would you want to serve your family chicken processed in a country with such a dismal food safety record? Since Chinese-processed chicken does not have to bear “Country Of Origin Labeling,” consumers will have no way of knowing if it’s an ingredient in their chicken nuggets or chicken soup. The other mystery is why any U.S. company would want to send U.S.-raised and slaughtered chickens over 7,000 miles to China to be processed, cooked, and then shipped back to America, unlabeled, to be sold to unsuspecting families. No doubt there are plenty of American facilities and workers perfectly willing to process these chickens. As crazy as it seems to a layman like me, I’m sure there are some instances where processing U.S. chicken in China could save food companies money. But why would any reputable company take the risk of processing chicken in China where even a top government official stated, just last July, that it can’t meet the food safety standards of more developed nations? According to numerous sources, including Senator Chuck Schumer, the USDA decision giving the green light to chicken processed in China could actually be a quid pro quo or prelude to allowing Chinese-raised and slaughtered chickens to be sold in the U.S. American beef has been banned in China ever since the mad cow scare in 2003. China has reportedly told U.S. officials that it will not lift that ban until we allow it to export its own slaughtered chickens into our country. That’s even more deeply concerning from a food safety aspect! While trade with another country is certainly desirable, it’s hardly advisable when that country lacks a centralized food safety inspection process and the ability to enforce food safety standards. No doubt, China will eventually construct a food safety system that is equivalent to our own, but that system is years, if not decades away. (2) Prevent funds from being used to implement any rule that would allow poultry raised or slaughtered in China to be exported to the United States. Let me finish with this simple thought. If a local restaurant has serious food safety violations, people have access to that information and can avoid that restaurant. If a food company has serious food safety violations, the media will cover that story and consumers can stop buying their products. But, if chicken processed in China is in our children’s chicken nuggets, we’ll never know. That’s a shameful and needless risk our government is taking, at the expense of America’s health. This post first appeared in The Hill.